When many of us think about turning on a light or bilge pump, the old trusty on/off switch comes to mind. It may be a simple switch that completes a circuit, or maybe it’s a dimmer control for lights. What we know is that there are wires going to that switch – maybe a lot of wires depending on what it controls. 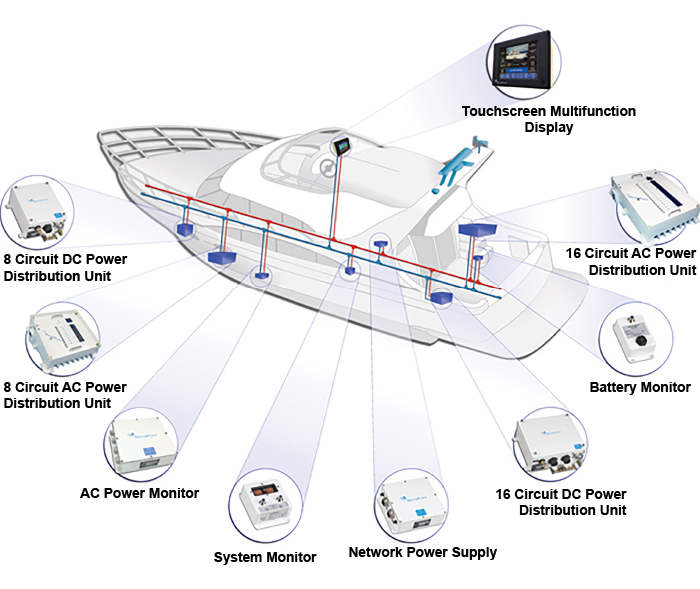 It may be hard to fathom, but what if we could control multiple things with just one or two wires? What if we could dramatically reduce the weight of the boat by using only a quarter of the amount of copper used in traditional switching? The possibility of all this is realized with digital switching. This technology has been around for a while and has been used in the automobile industry for some time. Just like anything else, the marine market adopted it after it was proven effective on the roads. After all, boaters don’t have the luxury of pulling over on the shoulder if in need of assistance. That being said, more and more boats are coming straight off the production line with digital switching packages. Boats from brands like Viking, Azimut, Regal, and Sea Ray. For the people who work in the industry, the rumours of failing systems are a thing of the past. If some of the top boat manufacturers can rely on it, we can too. 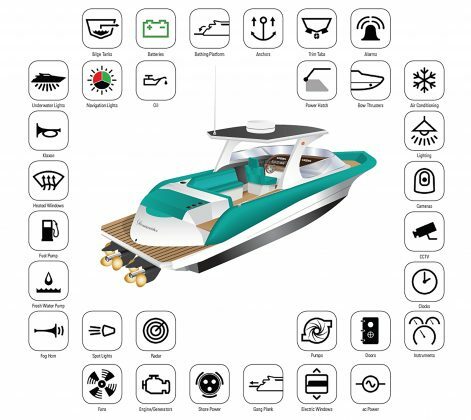 As mentioned in previous articles the standards set out by NMEA 2000 strongly influence the technologies of on-board systems. Its role isn’t just in navigational electronics; it’s also in monitoring and switching electronics. 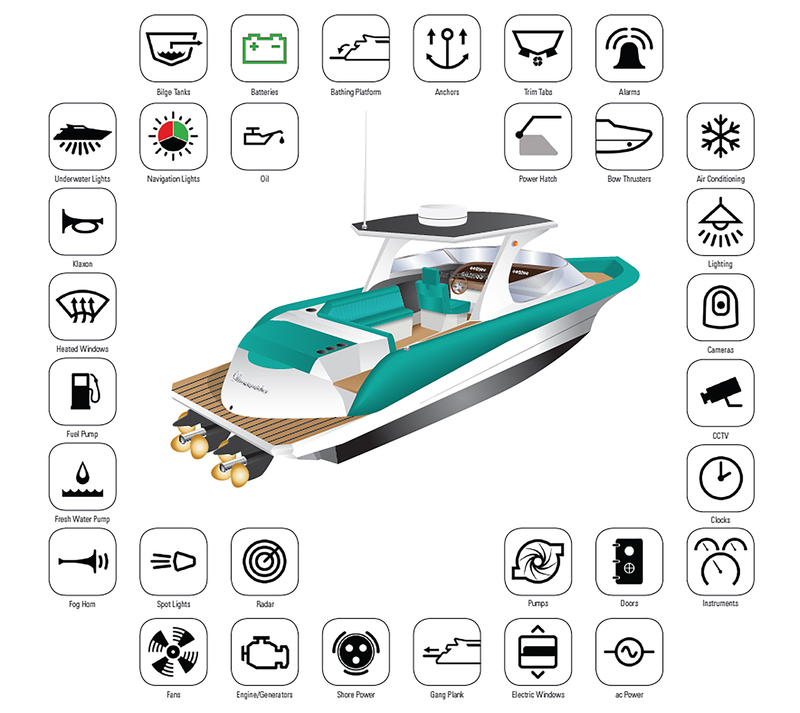 Many boat builders and retrofitters are utilizing digital switching because it can all communicate on this backbone. 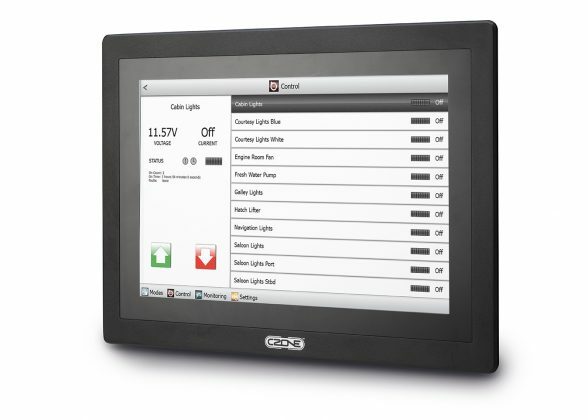 Once the NMEA 2000 communication base is installed, a distribution (black) box can be connected to control your DC lighting or monitor your incoming AC power. Each black box has its own purpose. Another benefit is the ability to monitor current going through the device. This in turn can let you know if any issues arise with a burnt out light or faulty bilge pump for example. Because everything is digitized, you can program a switch to do anything. From simply turning a light on, to dimming a whole room of lights, this can all be done with the same switch. 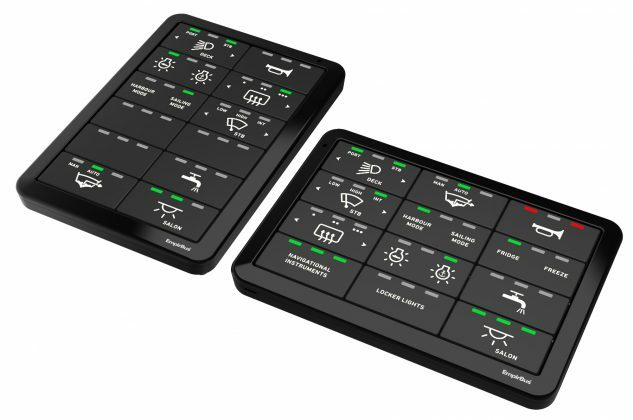 You can even control your whole boat with a smartphone or an iPad. Now that’s futuristic! Here’s a look at two of the options on the market for upgrading to digital switching on your own boat. The OctoPlex system can be used for a mega yacht, while the BEP Czone can be used for a 25-foot bowrider. While there are more and more systems out there these days, OctoPlex from Carling Technologies has been around the longest. This is a system typically used on bigger boats with a demand for larger distributed power networks. They offer huge touch screens and do not integrate with navigational systems yet, but I’m sure that will change. For large AC and DC networks, these guys are tops. EmpirBus from Trigentic is another player on the market. With 10 years of experience, they’re ahead of the curve. Producing everything from the interface, black boxes and keypads for control, EmpirBus is strictly a digital switching company. 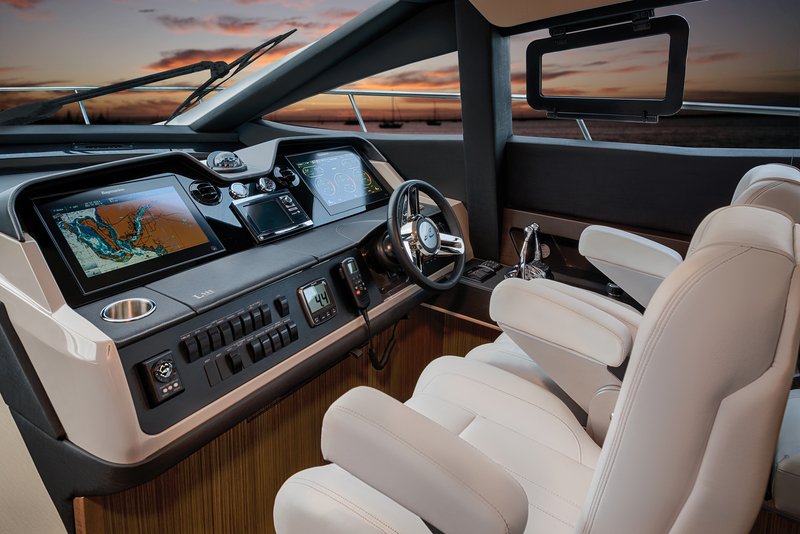 They have partnered up with Raymarine to offer switching right on their touch screen displays, freeing up a lot of real estate at the helm. BEP CZone is one of the more flexible brands out there today. They offer digital switching for AC/DC and the ability to monitor all of your systems. Having everything tied together from the same company makes integration easier, and troubleshooting any issues much less difficult. CZone has already partnered with Garmin and Simrad, making interfacing between your chart-plotter and navigation system an easy task. Technology can be quite daunting, but we have to embrace it or be left behind. Remember, there was a time where we could get through the day without our cell phones, but not anymore! What I’m trying to say is, while it may seem a little too complex and cumbersome, take a closer look and it might not be. If you’re thinking about re-wiring your boat, or have a project on the go, it may be wise to look into digital switching. The benefits now outweigh the cons. The switch panel component for the EmpirBus NXT NMEA2000 control, monitoring and distribution system.